Obese individuals are twice as likely to experience heart failure as non-obese people. More than eighty-five per cent of type 2 diabetes sufferers are overweight. And in the United States, obese and overweight individuals make up more than two-thirds of the adult population. Public health organizations and governments have traditionally tried to combat obesity through shame-inducing policies, which assure people that they can easily lose weight by eating right and exercising. This generic approach has failed, as it does little to address the personal, genetic, and cultural challenges faced by obese individuals. XXL directly confronts the global public health sector by proposing an innovative, alternative policy - the 'healthy living voucher' - for decreasing high calorie consumption and its related health problems. Neil Seeman and Patrick Luciani argue that many public health campaigns have made the problem of obesity worse by minimizing how difficult it is for individuals to lose weight. 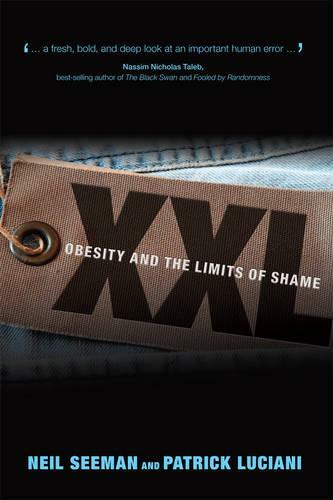 XXL challenges governments to abandon top-down planning solutions in favour of bottom-up innovations to confront the obesity crisis.